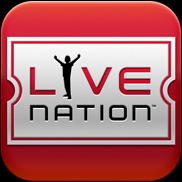 LONDON (CelebrityAccess MediaWire) — Live Nation UK has signed on for a partnership with music magazine Rock Sound over their touring music festival The Rock Sound Exposure Tour for 2014. The touring festival, which made its first outing in 2010 provides up-and-coming bands with a chance for exposure to a larger audience. Previous tours featured artists such as Japanese Voyeurs, The XCerts and Dinosaur Pile-up. "I’m extremely pleased and excited to be working with Andy Copping and Will Blake at Live Nation, especially in the wake of some outstanding sales figures for the magazine," said Rock Sound editor Ben Patashnik. "Having worked with Will in the past on some very successful tours, I’m looking forward to stepping things up a few notches and presenting great tours that capture the public’s imagination and promote the best bands around."